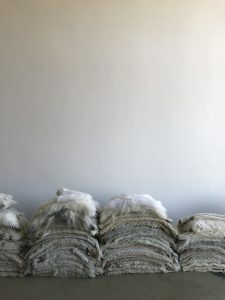 Carine Boxy is a Belgian textile artist and designer based in Deurle, Sint Martens Latem and founder of sheepsrugskins since 2009. 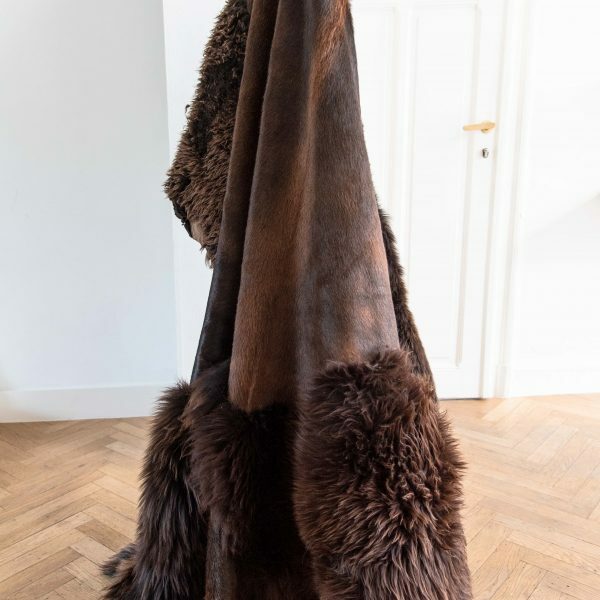 She lives in the house – with Stefan (Boxy’s) and her children – that was belonging to the luminist painter Jenny Montigny. 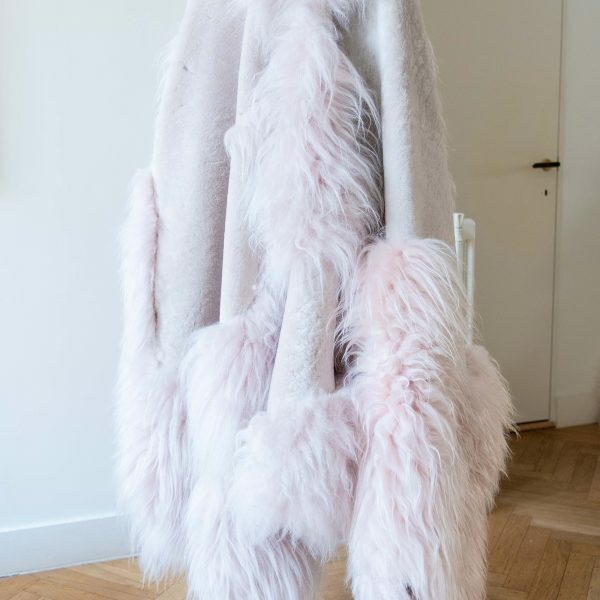 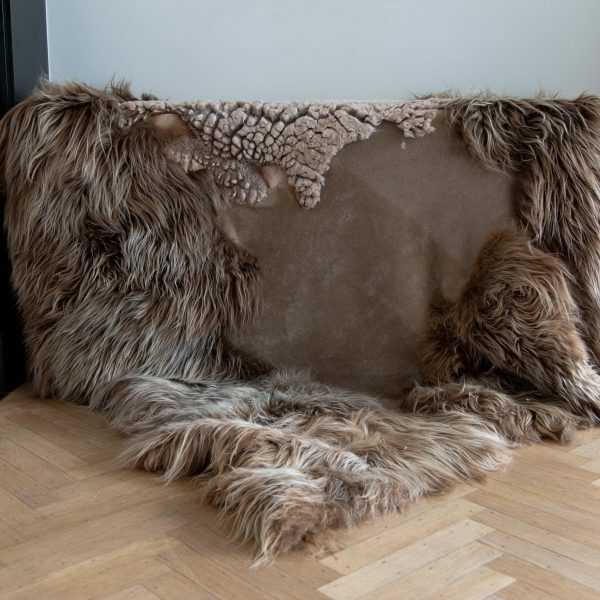 Each of her creations in naturally dyed sheepskin is unique and versatile (rug, cover, tapestry, …) and can be also seen as site speci c to a residential or a hospitality project such as the restaurants by Sergio Herman. 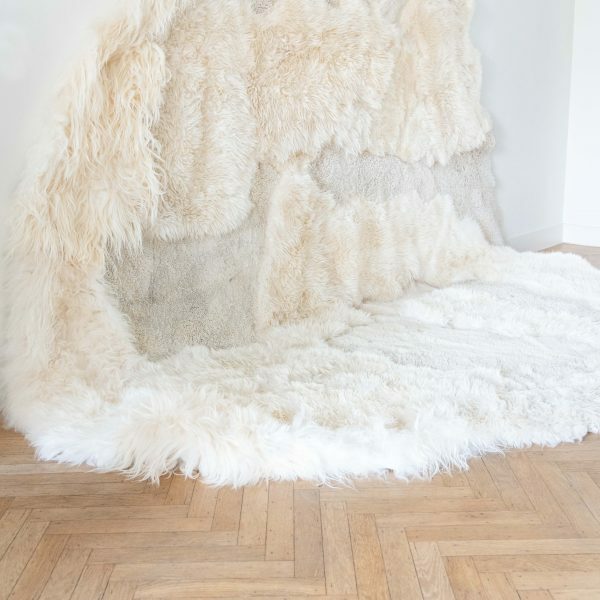 Her storytelling compositions are conceived as a patchwork quilt or carpet, a wall or oor arrangement, an object, a piece of furniture, with an extraordinary sense of tactility and wellbeing. 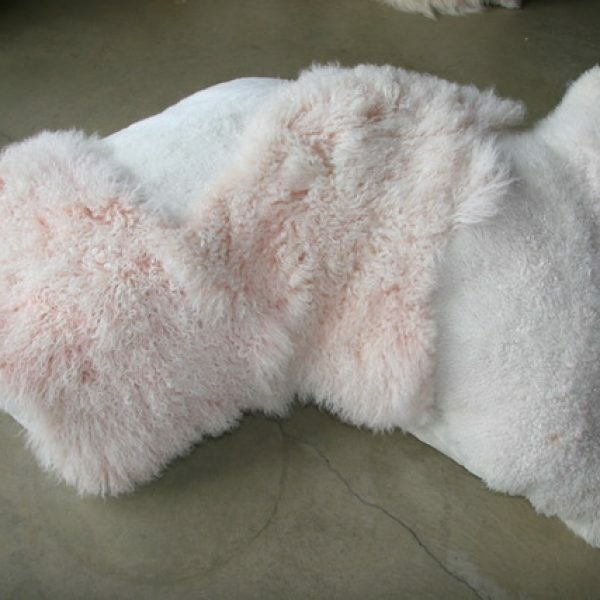 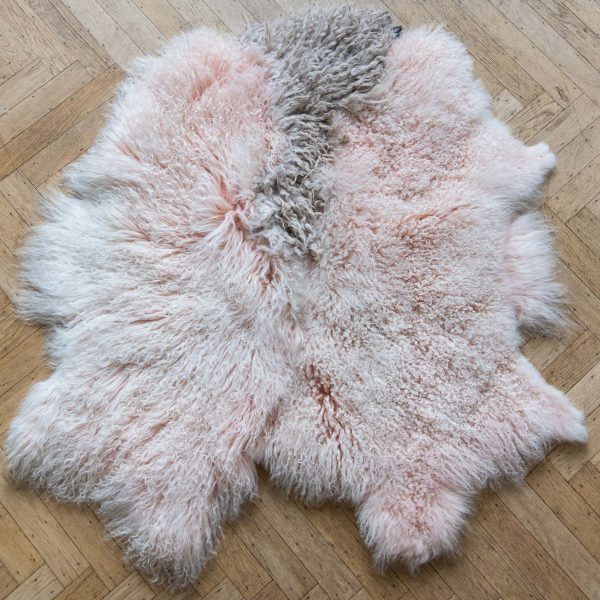 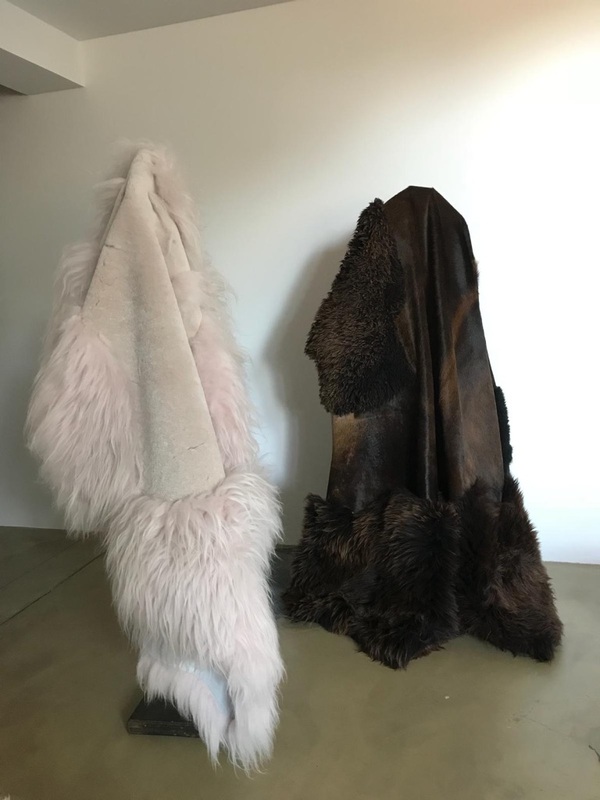 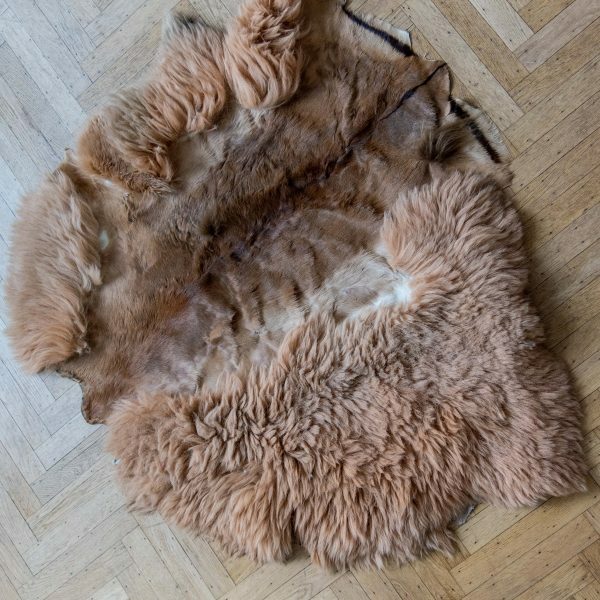 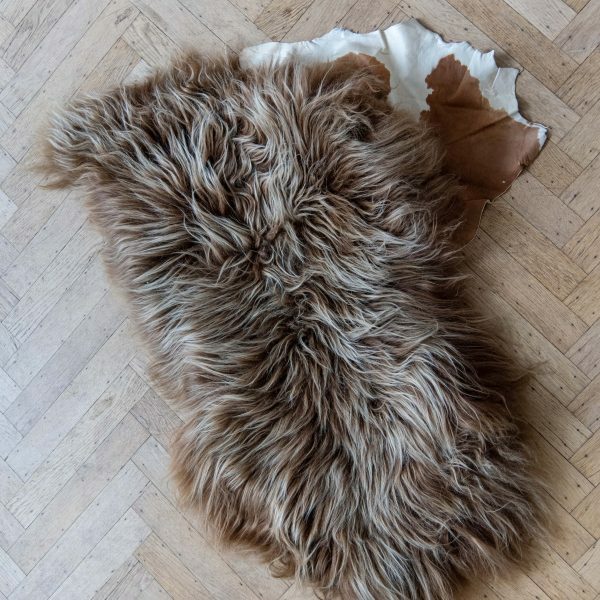 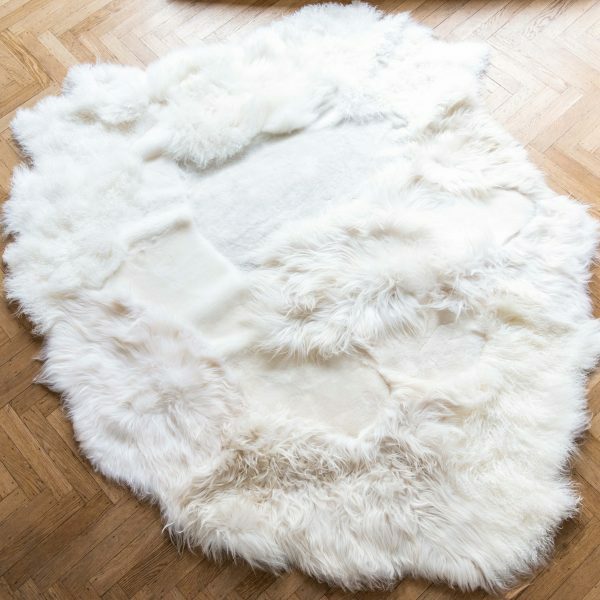 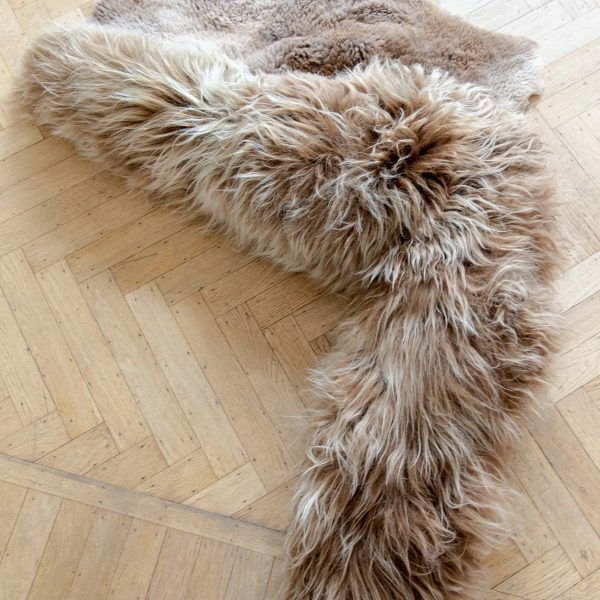 The sheepskins bring – assembled together – the atmosphere of a wild life into the home. 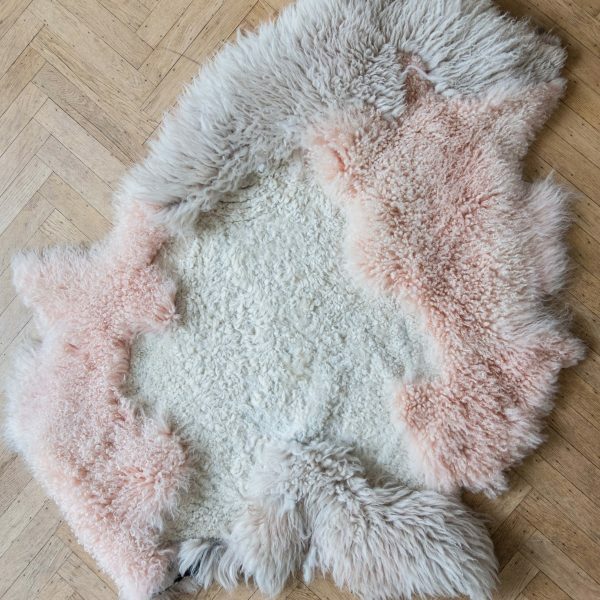 They reveal each one of a kind the true texture, appeal to the senses, thanks to their ultra soft material and a true combination of the hand and the heart. 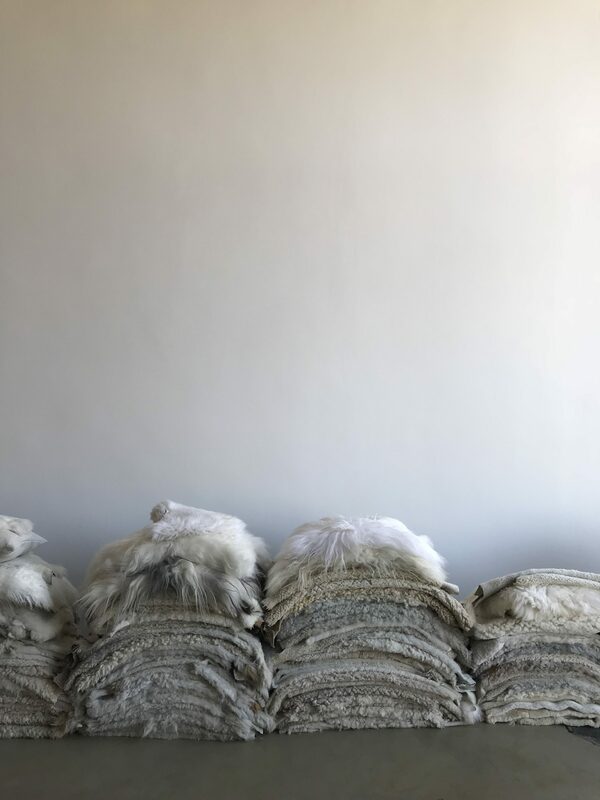 Carine has this attitude of the craftsman that creates from the sheepskin a human kind experience which brings the warmth in interiors. 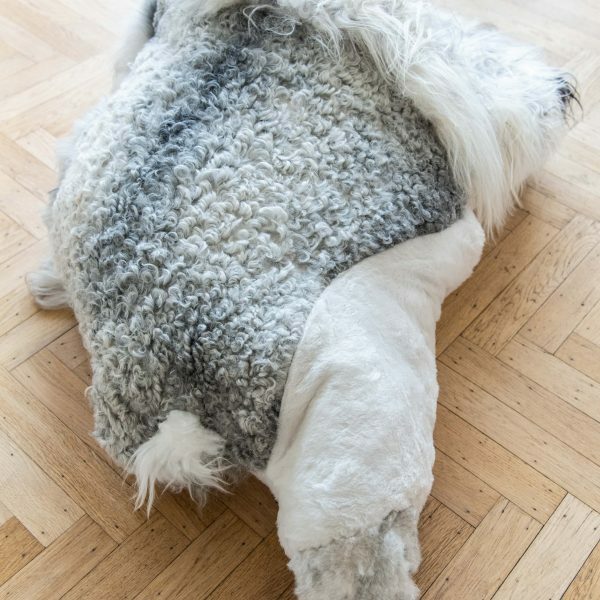 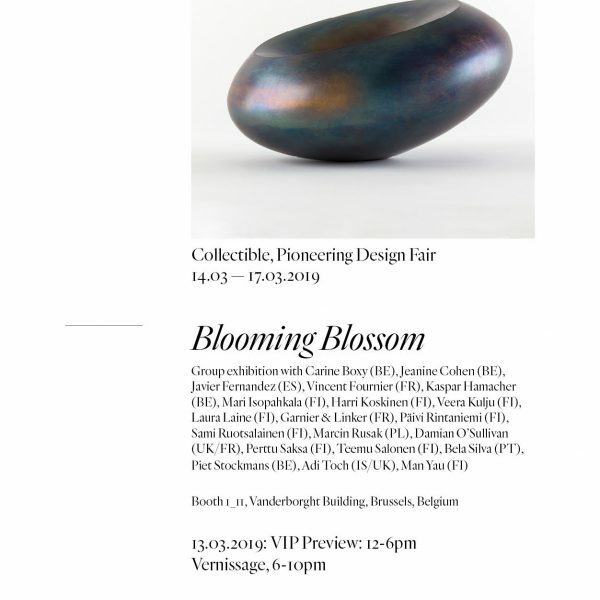 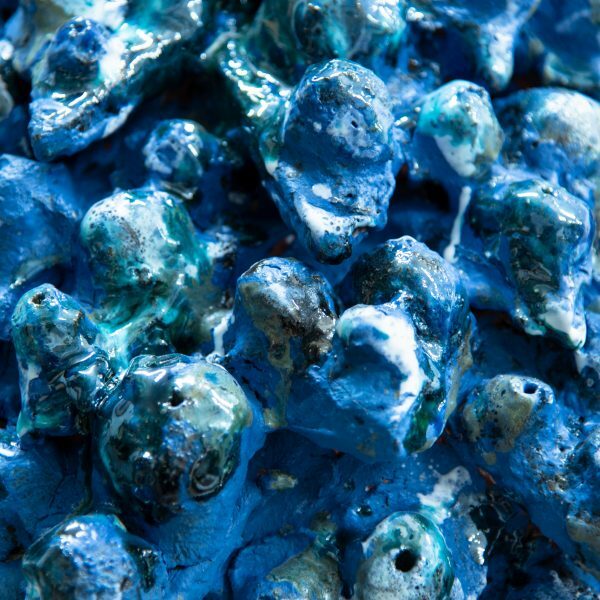 Her work is currently exhibited at Designmuseum in Ghent, as part of A Wild Thing, curated by Hilde Bouchez & Marij De Brabandere. 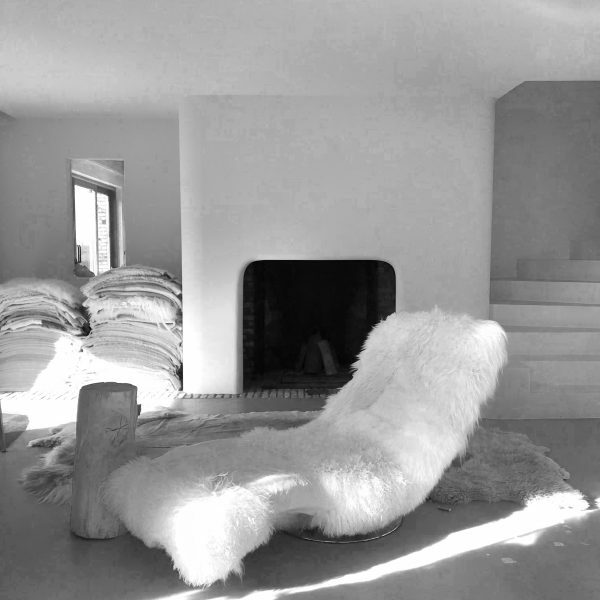 She published a decade ago her book Wildest Silence Silent Wildness, 2007.